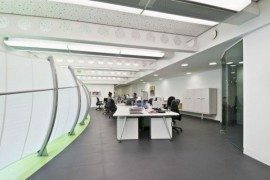 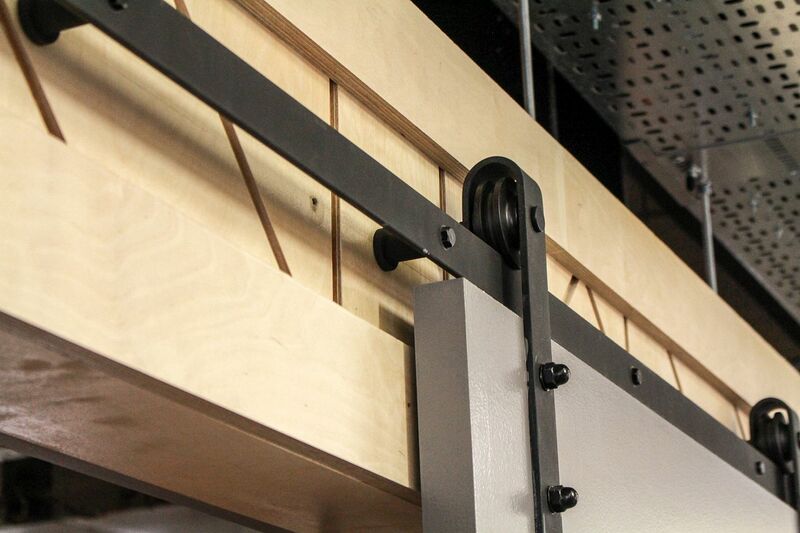 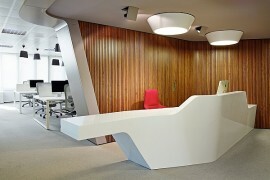 The trend of boring cubicles in endless lines defining large office spaces is something that is quickly fading away. 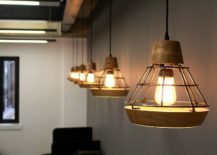 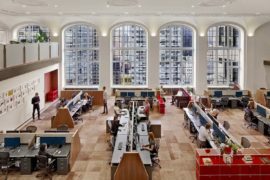 A new wave in office design has taken over, and it is all about individuality, personality, quirky brilliance, and of course, plenty of innovation. 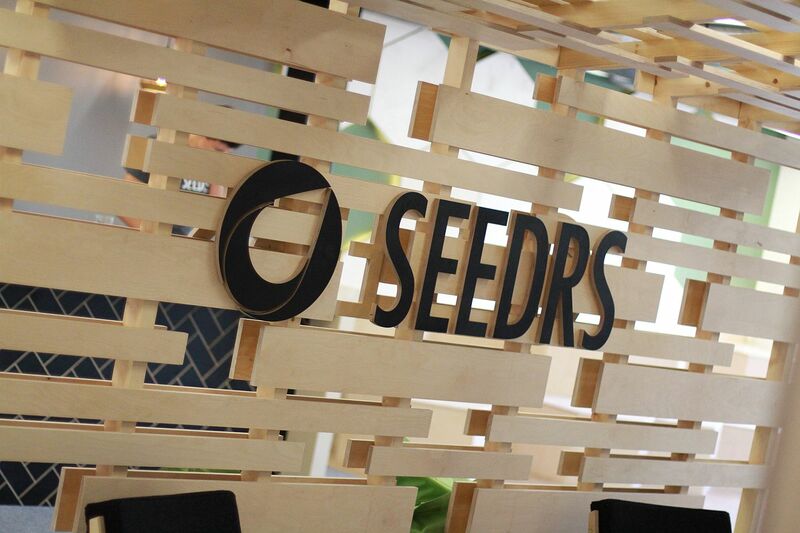 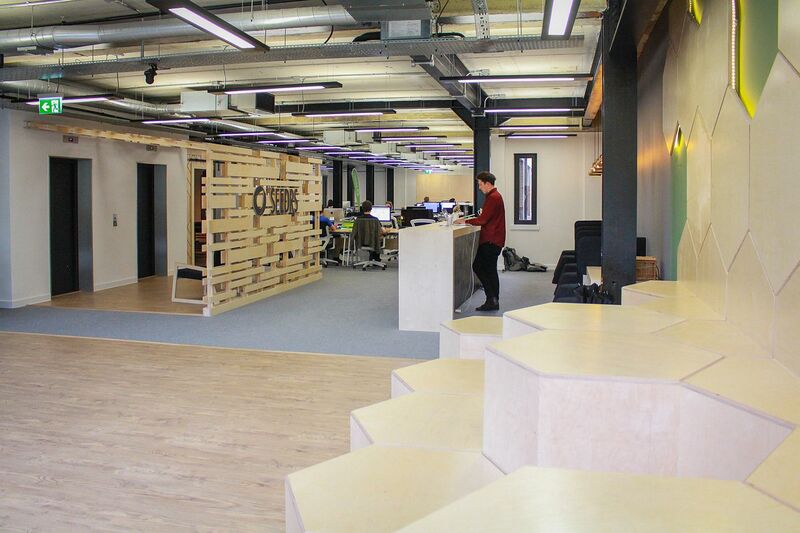 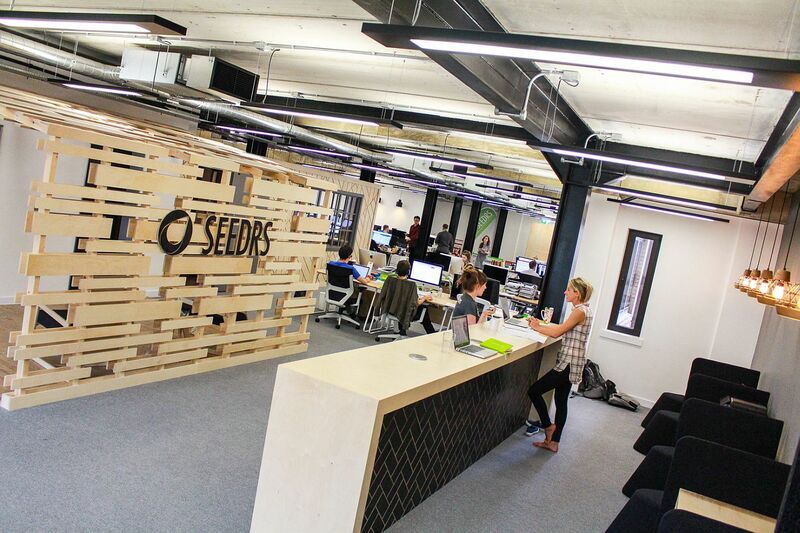 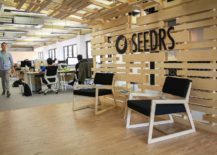 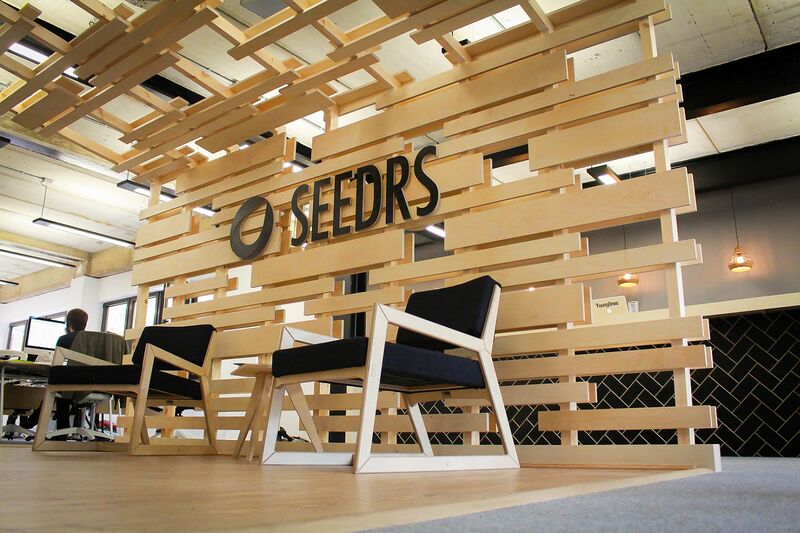 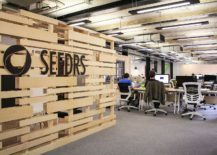 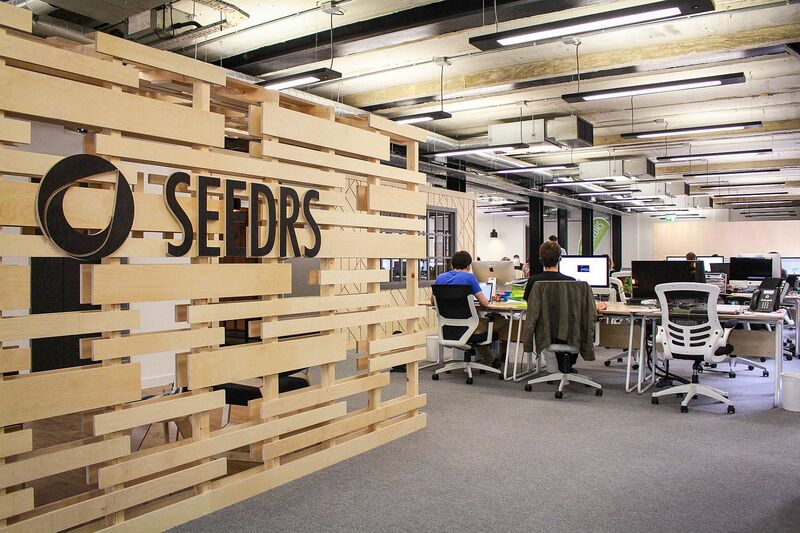 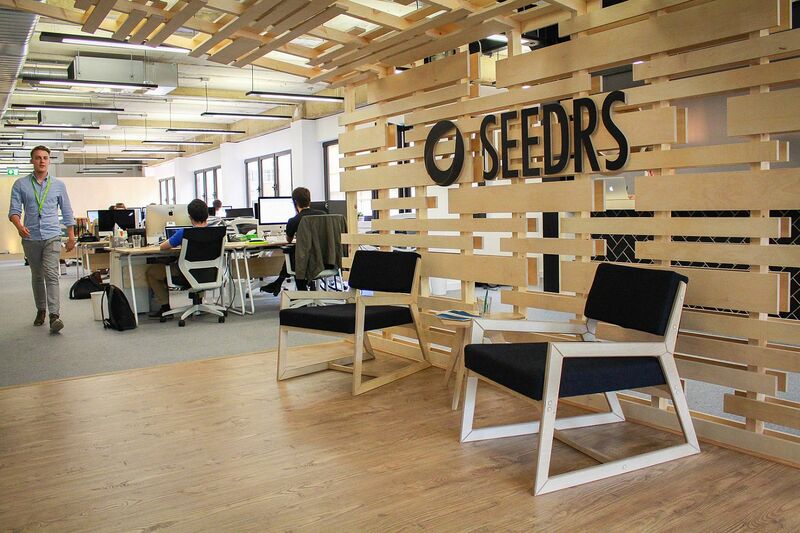 Designed with great care by Liqui Design, the new headquarters of Seedrs fits this billing perfectly. 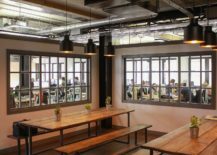 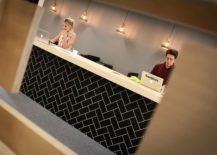 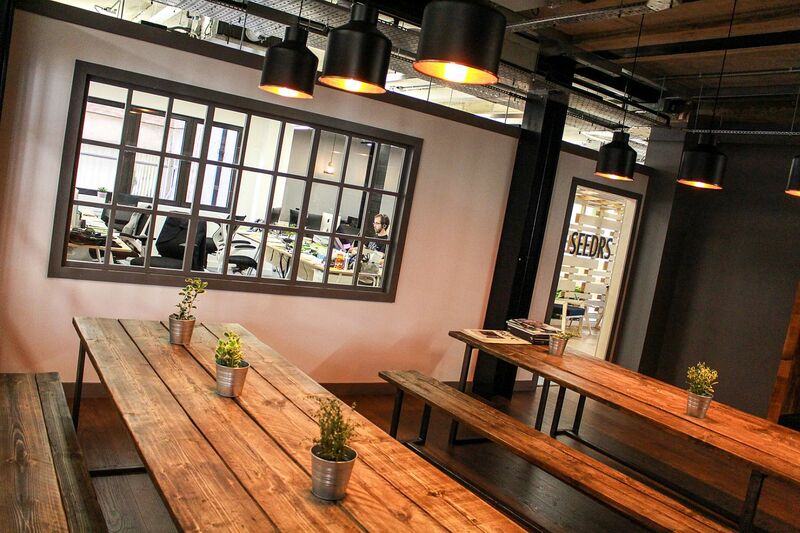 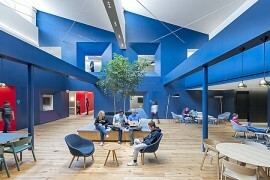 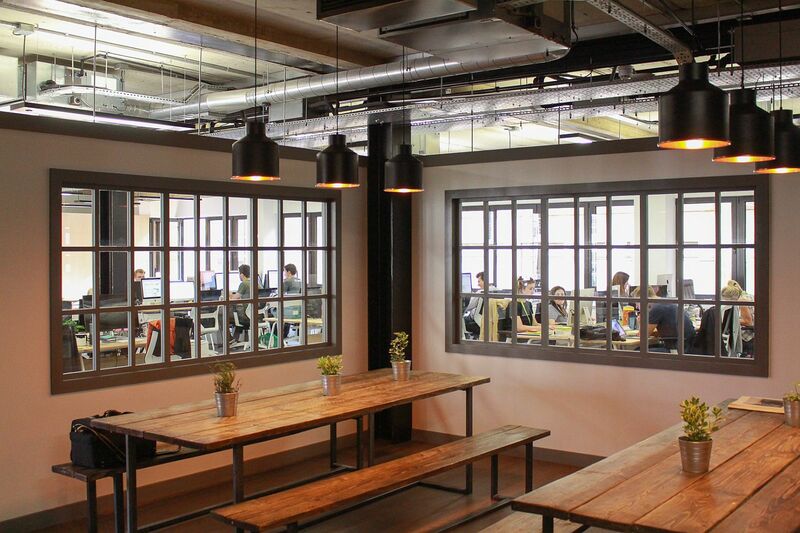 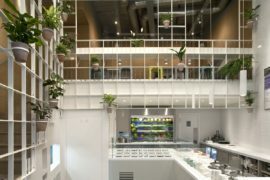 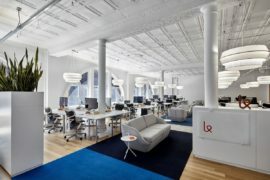 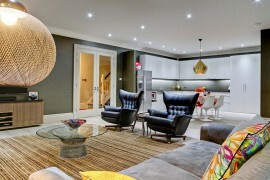 An equity crowd-funding firm on the famous Old Street of London, the smart and dashing new interior of the new office charms with its amazing use of contrasting textures, an inherent Scandinavian simplicity, and a touch of London’s unique flavor that is truly international. 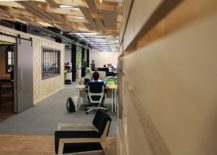 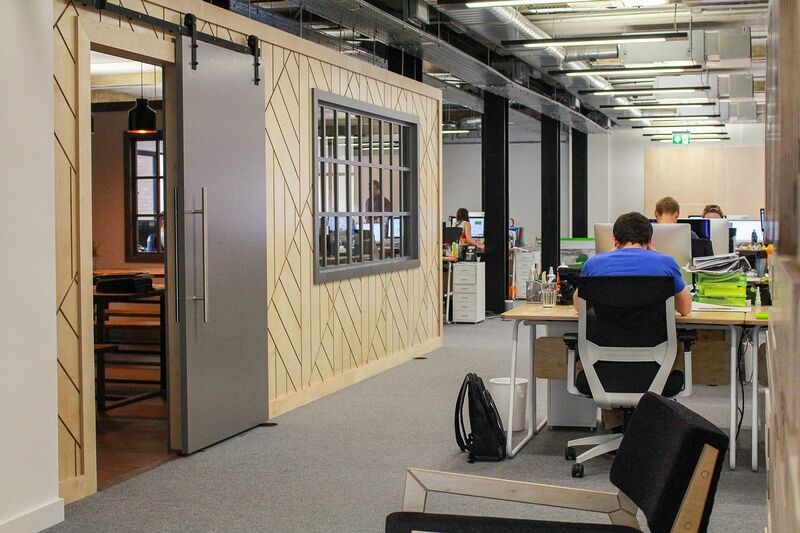 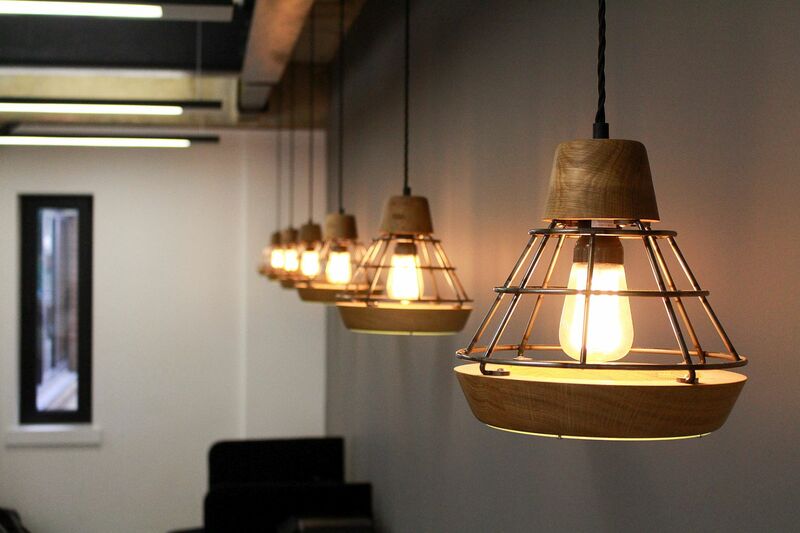 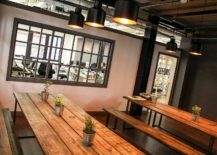 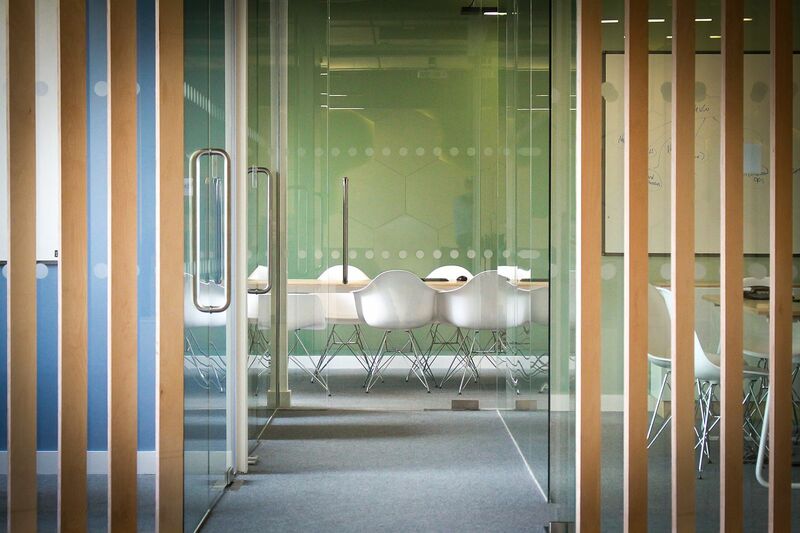 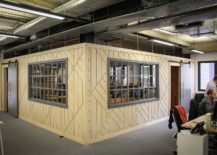 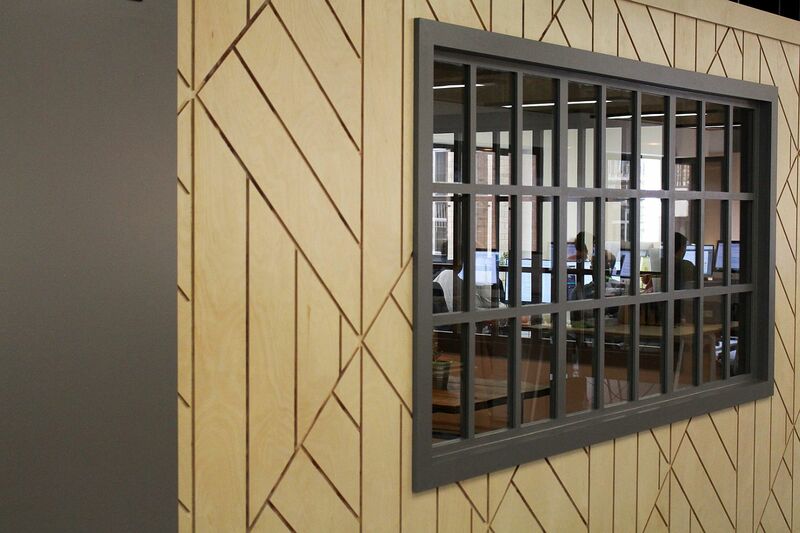 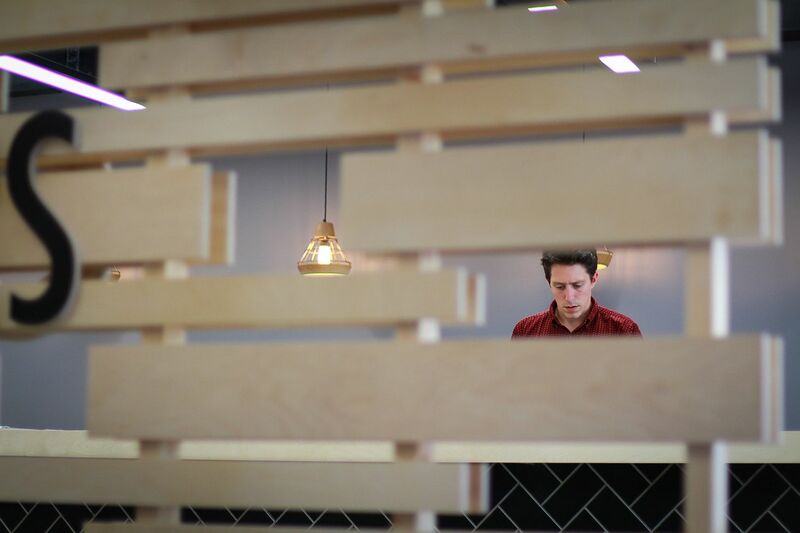 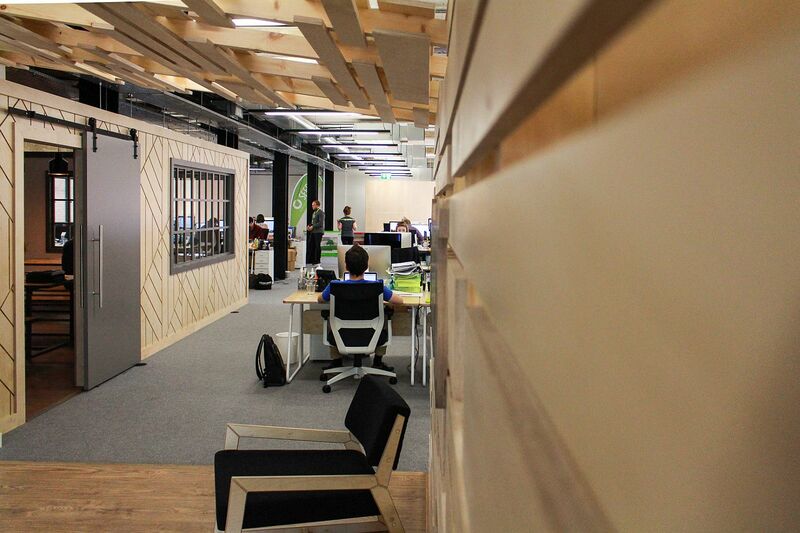 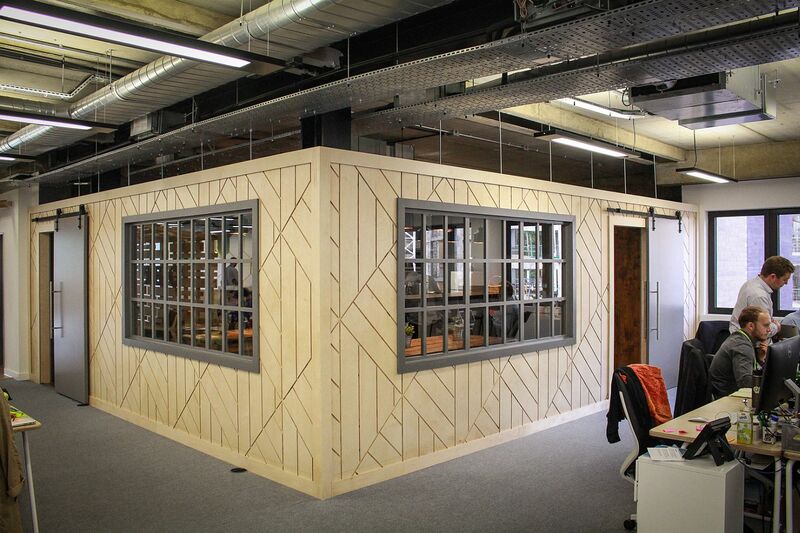 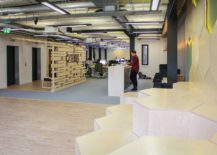 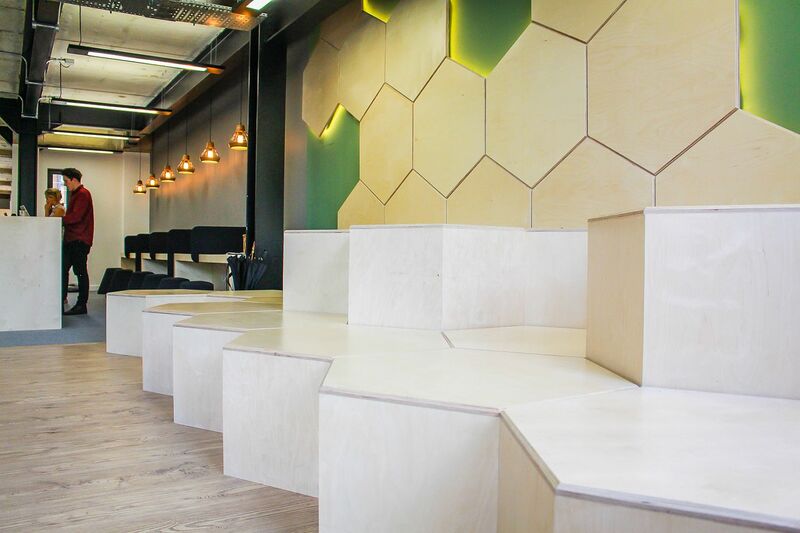 A birch ply canopy along with a woodsy wall welcomes you into the office, and this innovative use of wood continues into the meeting rooms and the relaxing café. 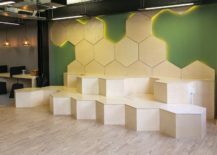 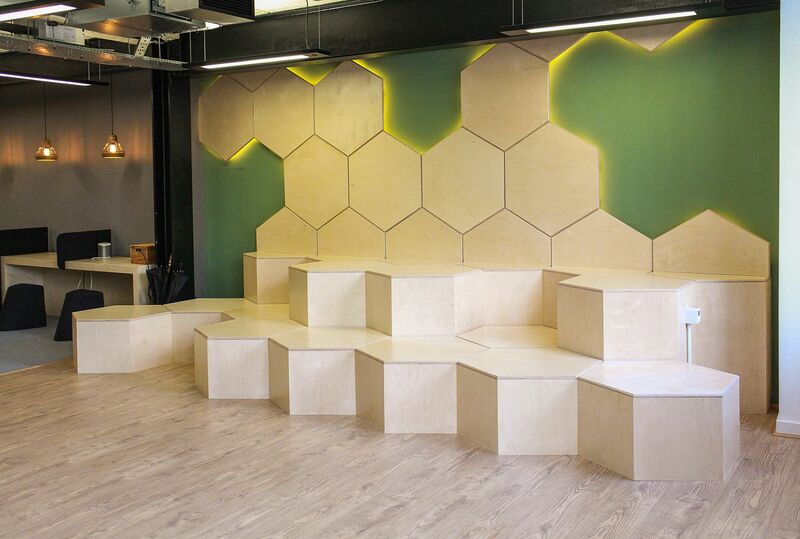 Another exceptional feature of the office is the tiered hexagonal seating of the informal café area that adds playfulness and geometric contrast to the setting. 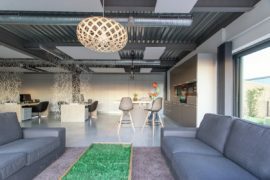 Brilliant lighting, beautiful pendants and a smart arrangement of secluded and interactive spaces complete an office that reflects the latest design trends to absolute perfection. 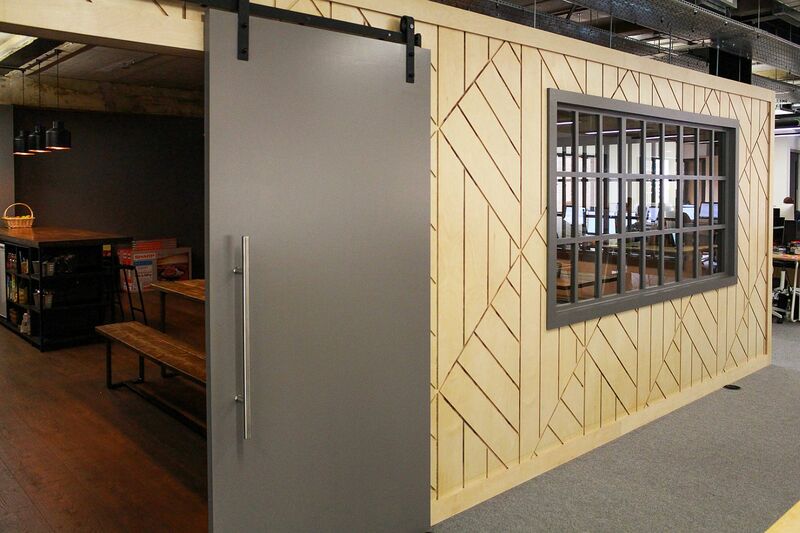 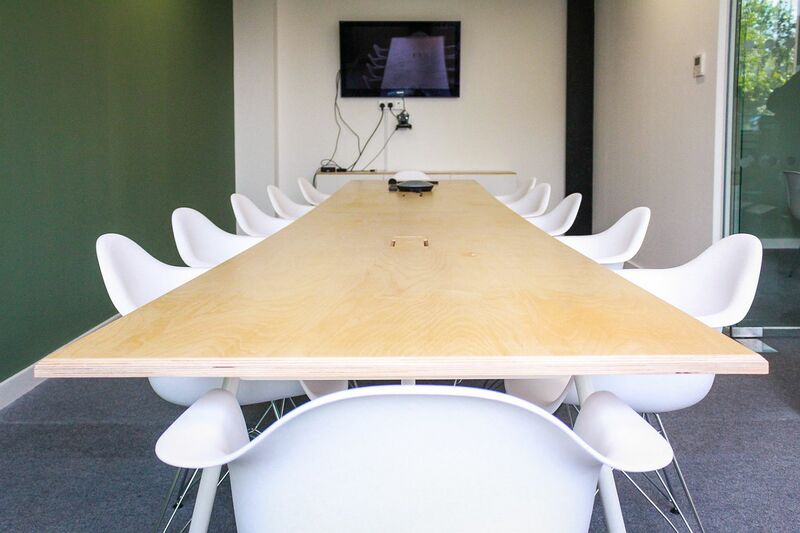 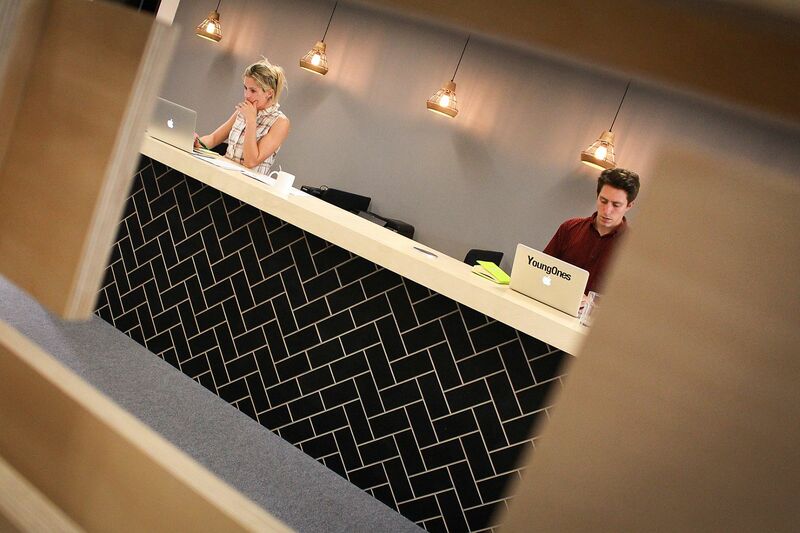 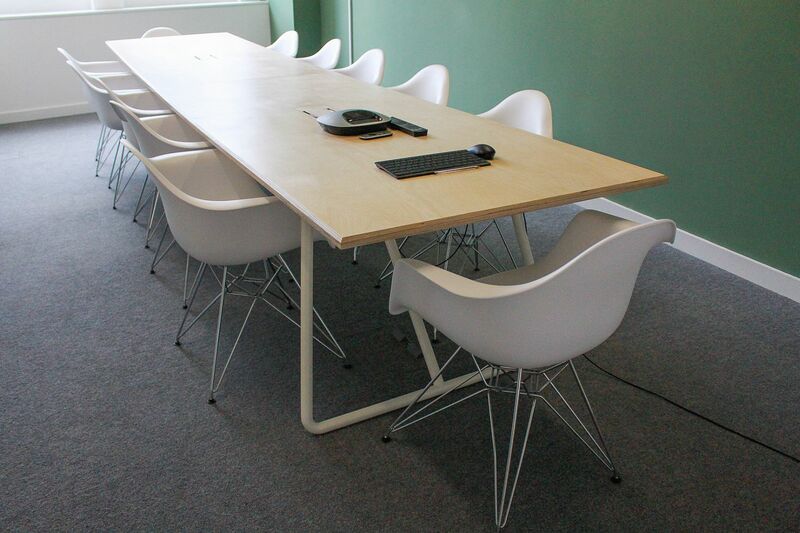 Liqui have created an office space that has a relaxed and enjoyable atmosphere. 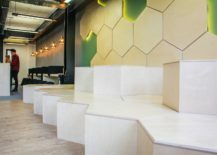 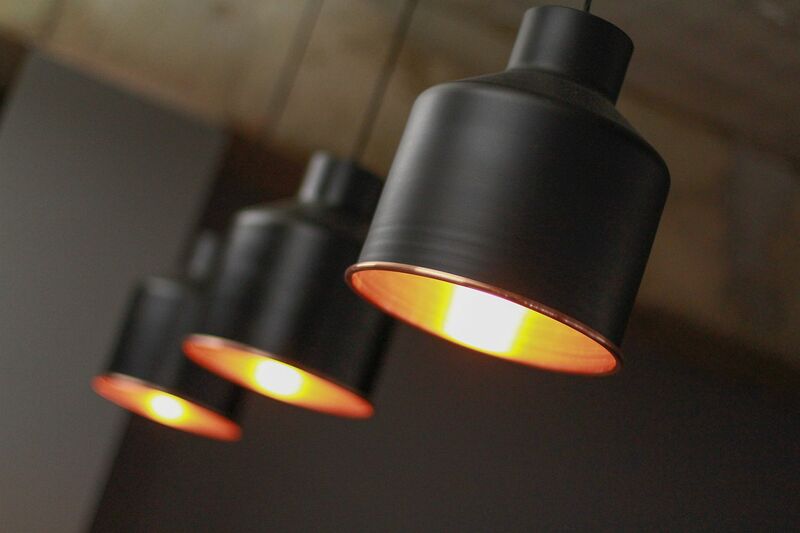 Its design, LED detailing, pendant lighting and soft seating have been designed and manufactured by Liqui to produce an interior that is high-end, out of the ordinary and fulfills the practical considerations for an effective and productive working environment.